The “other” Russian has quietly become much more consistent; she can rip her forehand and smack her shots to the corners. She is a pretty good net charge, and while Vinci used to mix up her one-handed backhand and trouble opponents, she is declining very quickly in the singles. Makarova will win easily. The 2008 Aussie champion pines to win the Slam again and has looking very good since October. She has thrown much more variety in the past and is very self-assured in her mental game. She will smoke Panova in straight sets. The Italian Bolelli can mix it up and who move around fairly quickly, but he cannot penetrate Federer’s forehand or crack his own forehand unless the Swiss is way off. Federer will struggle eventually in Australia, but he won’t be challenged in the second round. Fed will win in straight sets. The American qualified for the Aussie and won his first matches, which is pretty good overall. He hustles and fights hard, but if Nadal is clicking away, he is too good overall. However, Nadal is still rusty, so Smyczek will take a set; the Spaniard will win in four. This should be an interesting match, given that Halep believes that she can win a Grand Slam but the Aussie Gajdosova thinks she is playing well enough to shocker her at home. Gajdosova is very powerful and will try to out hit her, but Halep is more consistent and stable. Halep will win in three sets. The Aussie Matosevic knows his buddy Murray very well. He also knows that he has to jump on the Brit very quickly and play lights out. But, even if Matosevic does, he doesn’t have enough oomph against Murray, who is smarter and better overall. Figure on Murray winning in straight sets. While Genie isn’t ready to shine this week, she might be in better shape in the second week, if she catches fire again. Even if the Canadian doesn’t play incredibly well, she is simply better overall against Bertens and will win in straight sets. Tomic looks to have the edge over Kohlschreiber. These two matched up last week in Sydney and Tomic got through. But, Tomic says they are neck and neck right now. However, to me, I like how Tomic is finally settled in and perhaps he will crack the top 20 – or better – this year. The Aussie will win in five tough sets over Kohlschreiber. Peng finally looked like she was comfortable playing singles, moving well and she was in much better condition over all. She can strike inside the baseline and will do it again, easily pushing past Rybarikova in straight sets. The Aussies will be extremely excited with this matchup and will pack the grounds. The 18-year-old Kokkinakis pulled off a terrific win over Gulbis in five sets, but he is very young and could be tired. Groth has been more composed over the past two weeks, is crushing his first serves and taking over the nets. Groth will push him around and win it in four sets. Sam Stosur can’t seem to get going in front of her country audience. It is almost impossible to know how well Stosur will play. She has been terrific on times, but rarely in Australia. Sometimes she is very nervous, other times she is not, but that doesn’t mean she will be playing her best either way at home. She will find a way to best Niculescu, but after that, who know? The defending champion Wawrinka appears very happy in Australia and did win Chennai the week before last. At times, he can lose his head, but he loves his somewhat slow hard court. The Turkish Ilhan wants the fans to notice him and perhaps they will, but the Swiss is much more bravado. The Serbian has been sick over the past week but he is feeling better and he is the man to beat. While Djokovic is not perfect at the Grand Slams, he almost always gets close. He will take down the Slovenia Bedene in straight sets. Hewitt admitted that he did not play well in Brisbane, but he has been at Australian Open many, many times before. However, he has aged and even though he is very smart, that doesn’t mean that he can crack the ball. Hewitt will win the match, but it will take him five long sets against China’s Ze. The young Tomljanovic is now an Australian … so that’s why she’s on the Rod Laver Arena schedule. The once Croatian is powerful, and moves fairly quickly, and played a solid win over Jelena Jankovic in Brisbane. However, the American Rogers has slowly rising and she outlasted Tomljanovic in Montreal last year. Rogers wouldn’t be nervous, while Tomljanovic will be. Take Rogers in three sets. The Japanese is a real threat to win the tournament, but finding out the former top 10 Almagro is back in the court after being hurt much of the year could be troubling. It could be, but the Spaniard isn’t ready for prime tie yet. Nishikori will win in straight sets. Wozniacki has been pretty darn good since last August, but she hasn’t won a big title in a long time. However, if her wrist is hurting she could be in trouble. The 18-year-old Townsend still has a way to go, but she is very strong and ambitious. But she is not ready yet, as Wozniacki will win in two interesting sets. The flying Monfils can be so good – recall his amazing win over Roger Federer in the Davis Cup final (although the Swiss won the title) – and so impossible to figure out. Monfils has a lot more experience against 20-year-old fellow French Pouille, but is the kid ready to shock him? Perhaps, just not yet. Monfils will win in five aching sets. Imagine these two are not seeded when two years ago they played in the semifinals here in the Aussie Open. Azarenka says that she essentially wasn’t around much at all during 2014. Stephens faded quickly after June. So who know is ready to make a serious push again? Stephens might this year but she didn’t start during the past two weeks. Azarenka lost to Karolina Pliskova in Brisbane, but the Czech is very good now and it went 3 hours and 20 minutes. Azarenka is ready to battle again. She will take it in two sets. The Canadian is ready for prime time. Yes, he still needs to improve his return and his backhand, but his forehand is massive and so is his first round. The Ukraine Marchenko can hit the ball, but he won’t be able to hurt him enough. Raonic will win in straight sets. The 2015 Australian Open is here and ready to roll. Here are our picks for the opening day. The Romanian believes she is ready now to win a Slam. She played excellent ball at the WTA Final, very aggressive, fast and full of life. She will out steady Knapp, but she cannot be conservative against the big women. For the first times, you can feel Ana playing smartly and not becoming nervous. She has improved a ton overall and will be heard from during the tournament, bashing the huge server Hradecka. Kerber should get by Begu. Who knows how well Rafa will play, saying that he isn’t right yet and still a little sore during the last half of 2014. But as he says that should he reach into the second week, then perhaps he will be competitive again. You know he will, nailing Youzhny side to side. Here goes Roger again and in Brisbane towards the end he looks very, very good. Federer does not lose to the smaller guys in the Slams, so he will out think Yen-hsun, but Roger will have to be spot-on to win another Slam, as it’s been two-and-a-half years since his last triumph. Sharapova had added a few new things, such as coming into the net more (I know, I know: it’s taken 10 years) and drop shots. She hasn’t played great in the past two years at the Aussie, but she is ready to rumble and knock the Croatian right off the court. The Aussie Gajdosova looked very well in Sydney and while she can become wild, she wants the fans to see her again and take down a couple of seeds. She will begin run down Dulgheru in straight sets. Murray isn’t sure whether or not he can take out the best yet, but he doesn’t want to tell the big boys that, at least not yet. The young India Bhambri looked very good as a junior but isn’t strong enough. Murray will beat him down. Angie is all over the place. She tries super hard, but she doesn’t commit enough, which is why she can be had. But not yet, as the lefty will outlast Begu. The Canadian has come a long way over the last year and wasn’t afraid to go after anyone, but she struggled the last four months in 2014. Now everyone knows who she is, which means it’s going to get even harder. Genie will hit through against Friedsam, but right now, she could be in for a fall. The Aussie Kyrgios is only 19 so he still has a long to go, but he has a gigantic serve and can crack his forehand. His back in hurting, meaning it is going to be very tough to reach very deep into the tournament. However, he could win a few rounds, like over the Argentine in four tough sets. I really like the Swiss teen overall as she is very smart and mixes it up, but she is a little up and down. The German Goerges has fallen in the singles but she can crush her forehand. How about an upset, stunning the Swiss in three long sets? I am not sure exactly where Lisicki is going (if she’s not on grass), but she will win in three long sets, as neither the German nor the French Mladenovic moves well enough. The Aussie Tomic has been very good at times in Brisbane and Sydney, but he has not been able to take down the good boys. He is rising again, but he doesn’t want to get caught by a ton of up-and-coming Aussies like Sam Groth or Thanasi Kokkinakis. 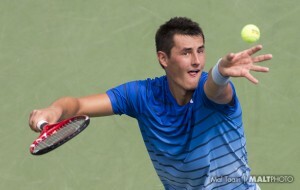 We don’t know yet, but Tomic will be good enough to best Kamke in straight sets. Speaking of which, Groth was also pretty darn good in Brisbane and Sydney. He has improved quite a bit over the past year or so. He has a massive serve and consistently charges to the net. The problem is, will he be too nervous at the AO? Perhaps, but not yet as he will edge Krajinovic in five sets. Kvitova wants to get used to winning. APIA Sydney International — Karolina Pliskova is tall, can crack both wings and is the owner of one of the biggest serves around. But she was not consistent enough as Petra Kvitova outlasted her 7-6 (5) 7-6 (6) in the final. The world No. 4 Kvitova is flying now, but she has had trouble in the Aussie Open before. She now owns 15 titles and some pretty big wins, many on hard courts. But, let’s not forget 2012 when she looked like she might out hit Maria Sharapova but the Russian was more courageous and took her out by focusing on her weaker backhand side. Sharapova won the contest 6-4 in the third and waved her precocious smile. The Czech was simply angry. “I had a lot of chances and I didn’t make it. I think it’s one of the more disappointing matches what I had. The past two years was just terrible and just didn’t really thinking about them nicely,” the Czech said. Kvitova wasn’t really there in 2013 and 2014. She fell to Laura Robson 11-9 in the third set in 2013. “That was the worst ever from my serve in the second round,” she said. Last year, few knew who was Luksika Kumkhum, who shocked her in the first round. However, she says that she is faster these days and is bigger and stronger. She wants to be No. 1 this year. Perhaps she will, but she has to lock in very soon. The 24-year-old can smack the ball from both sides and kiss the lines. However, if she is going to win the title, she cannot get frustrated. EDITOR’S NOTE: JUST AHEAD OF RAFAEL NADAL AND ROGER FEDERER’S 33RD MEETING, THIS ONE IN THE 2014 AUSSIE OPEN SEMIFINALS, WE BRING YOU WHAT HAPPENED ON A FAMOUS NIGHT IN 2009, WHEN THE SPANIARD WONA CLASSIC CLASH AND HIS FIRST SLAM CROWN ON A HARD COURT. MELBOURNE – The so-called soon to be greatest player ever was out-fought by his most significant rival again, putting a long pause in the discussion of Roger Federer’s place in the history. In a truly remarkable and gutsy performance, Rafael Nadal shook down Federer 7-5, 3-6, 7-6 (3), 3-6, 6-2 in the final of the Australian Open on Sunday, grabbing his sixth Grand Slam title and becoming the first man since Andre Agassi in 1999 to win majors on three different surfaces. For the fifth straight time, the 22-year-old Spaniard proved that he has become a mentally stronger and physically more resilient player than Federer, beating down the normally cool-handed Swiss when the hours grew long and moments became tenser. For all the talk of Federer’s automatic ascension to the accolade of the greatest of all time, it has been the much-improved Nadal who has been the more ambitious and resourceful player over the past 13 months. “Roger can’t be called the greatest ever yet,” said US Davis Cup captain Patrick McEnroe. Since June, Nadal has won three of the last four majors as well as the Olympic gold medal. He torched Federer in the 2008 French Open final for his fourth straight Roland Garros crown, stopped Federer’s five title Wimbledon streak in a five set classic for his first major on clay and then on Sunday, won his first major on the surface that has troubled himself the most, hard courts, by contesting a near perfect fifth set, committing only two unforced errors to 14 from his worn down foe. Other legends, such as John McEnroe and Stefan Edberg, have won marathon semifinals and went on to win Grand Slam finals, but Nadal’s feat, a 5 hour and 14 minute marathon victory over the red hot Fernando Verdasco in the semis, followed up by a 4 hour and 23 minute win over Federer, who went into the last day with a 8-0 record in hard court major finals, owns a special place in the record books. Given that he had worn down at the hard court Slams before and was had trouble knocking off offensive players at the Australian Open and US Opens in years prior (think Gonzalez, Tsonga, Murray), the left-handed Nadal still needed to show that he could successfully combine a defensive and offense posture and find a winning formula on hardcourts. While his base is much the same — kick and slice serves into his foes’ backhands, hammer away with his huge forehand and use his legs to run down even the most impossible balls — his improvements are obvious. His slapping two handed backhand has become more powerful, he’s more sure handed at the net, he changes the direction of his groundstrokes more intelligently, and his one handed slice has improved, as has his use of drop shots. While on the outside, it appeared that Nadal might not pull up fresh and healthy for the final, on Saturday, his camp and those members of the Spanish press who follow him closely had little doubt that he would arrive on court doing same boxer’s split steps that he has done throughout his career. To him , Nadal is a Toro, with a capital T.
He gored through Federer in the first set, poking holes in his backhand with slice serves and hooking forehands. The Swiss showed his champion’s heart in the second set, steeping more gamely into his backhand and mixing up the pace and angles of his groundstrokes. In the third set, there was a little reason for doubt, when a after the seventh game and at up 4-3, Nadal called for the trainer to have his right leg massaged as he was no longer getting a good enough push off that leg, the one which allows him to crush two -handed backhand from an open stance. But it loosened up again and he found the vast fathomless inner reserve where his hellfire’s burn deep. He dug in his pitchfork and once again struck. He fought off six break points in his next two service games, three with ball-bursting groundstrokes. The Swiss would not go away quietly and once again showed his champions heart and lungs, winning the fourth set by punishing himself to fly more quickly to the ball, to make better use of his forehand and not to shy way from the net, even though Nadal was crushing hard to handle passing shots. It was assumed by his large amount of supporters at Laver Arena that Federer would once again rise to occasion, or at least bring the battle to the highest mountaintop and perish taking one last heroic swing at the edge of the cliff. But he did not and in the first time off clay, he completely folded, playing a soft, directionless set where he was broken to 3-1 on three consecutive unforced errors and was broken again to lose the match on an oddly missed forehand. Nadal soaked in the applause while later, when accepting the runner-up trophy, Federer cried a good three minutes and then cried again going into the locker room. “God, it’s killing me,” he said to the crowd. It sure must be. Federer has sunk deep into the spongy clay at Roland Garros after being smashed by Nadal, but he had never been so thoroughly beaten in a final set in major off dirt. McEnroe believes that Federer plays Nadal all wrong, that he could make simple tactical adjustments that would allow him to grab victories rather than play on the Spaniard’s terms. Federer does not do enough in his return games, rarely attempting to step around and hit forehands and allowing Nadal to go into his backhand 90 percent of the time with his serves, even when those serves aren’t always of the high qualities. Federer still sits one Grand Slam title from tying Pete Sampras’ all time Grand Slam mark of 14 majors, and as motivated and as talented as he is, it’s hard to think that he won’t break the record. But even if he does do it this year, Sampras will retain one major edge over him — that he owned winning records against his greatest rivals. Federer, who is now 6-13 against Nadal, cannot claim that very important distinction. APIA INTERNATIONAL SYDNEY — The historic venue has had quite the past three days. Who wouldn’t want to come to Sydney? It’s one of the most attractive cities in the world. A gorgeous beach, the harbors, the restaurants, music, drinks – oh and some fine tennis courts, which date back to 1885. Unfortunately, the tournament is the week before the Australia Open and that hurts. Yes, the 2000 Olympic site is problematic because it’s way outside the city, but so what: if you love tennis, then find your way out there. Yes, the tournament needs improving and it is, but if you want to watch some excellent players, and then go out, sit down, and enjoy the players bashing away. But the problem now is that many of top players are very wary about how they feel before the Australian Open. Two weeks prior, some of the top players will go all out to win a tournament, thinking that they will have a week of practice before Melbourne starts. Take Roger Federer, Milos Raonic, Maria Sharapova and Ana Ivanovic — all reached the final of Brisbane and fought as hard as they could. The same goes for Venus Williams and Caroline Wozniacki in Auckland, and David Ferrer and Tomas Berdych in Doha. They all reached the finals. How about Stan Wawrinka in Chennai and Simon Halep in Shenzhen? They both won. By Tuesday in Sydney, they were dropping like flies. Federer and Lleyton Hewitt came out to play an exo in downtown in Sydney and that is just fine. Wozniacki, however, retired in her first match as her left wrist was painful. Halep had a sore stomach and pulled out. Madison Keys won a match and, then in the second round, her right shoulder hurt and she retired. Had the Aussie Open not started next week, they may have continued on. In fact, both said they didn’t want to take the risk because of the Slam. So why play in the first place? If you are going to enter, you are supposed to give it all out. If you are not going to, then why bother? How about the men’s in Auckland this week? Ferrer, Gael Monfils and John Isner all pulled out at the last moment. David said he was hurt, the defending champ Isner says that he was tired after playing the Hopman Cup and who knows what personal reasons Monfils had? When your top guys aren’t there, are the fans really going to want to come? Not as much, that is for sure. Yes, if you become injured just prior to the Aussie Open, then that stinks. But you can actually play well during the week before and dominate the Aussie Open. In 2012, Vika Azarenka won Sydney and went one to win her first Slam by grabbing the Australia Open title. Former No. 1 Hewitt won Sydney 2000-2001 and 2004-2005. It is plausible, as long as the players stay healthy physically and psychologically, to win it all, both the warmups and the Slams. Then the fans will keep coming back, cheer loudly, during day, and during night. Here’s the good news: Juan Martin del Potro took down Fabio Fognini 4-6 6-2 6-2. On Tuesday, he was very shaky in the first match he played since 10 months due to his sore left wrist. On Wednesday, he was flying high. Guess what? On Wednesday, the Auckland got smacked again when Roberto Bautista Agut withdrew and Tommy Roberdo pulled out. Ugh. The Italian Simone Bolelli bested second-seed David Goffin 6-3 6-3. We will quickly see how good the Belgian will be this season; a great results would be reaching the fourth round of the Aussie. Angie Kerber beat Davia Gavrilova 6-7(6) 7-6(2) 6-3 in a match that began around 12:33 AM (Wednesday) & finished at 03:09. It’s very rare to start playing past midnight. It’s simply too late. Wait until the next day. There are some very good players left in Sydney. The Czech Karolina Pliskova didn’t look tired and wiped out Carla Suarez Navarro 4-6 6-4 6-0. Don’t forget that Pliskova played Azarenka for more than three hours in Brisbane. She has almost cracked the top 20 and she is rising. She has a real shot to reach the final. Tsvetana Pironkova won the tournament as a qualifier last year and here she goes again; she did not receive a wildcard (what a shame), so she went out and won three matches in the singles qualifying. Now she has won three more matches, besting Barbara Strycova 6-4 6-1.Could she do it again? She faces Petra Kvitova in the semis. 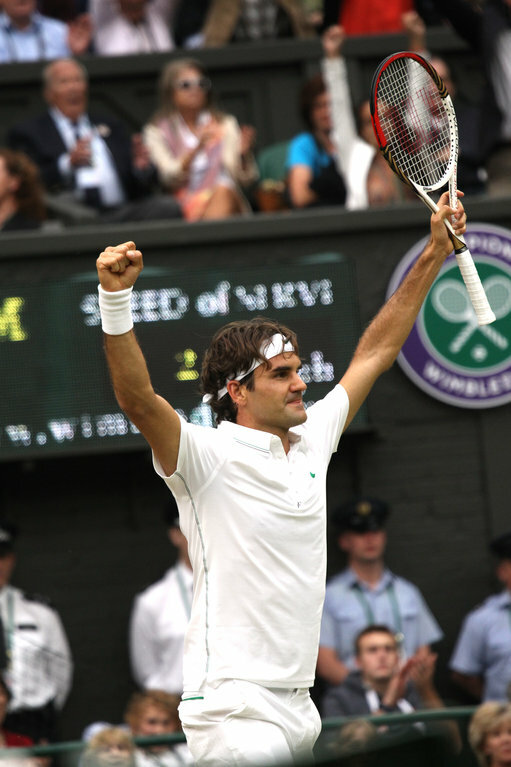 With his last Wimbledon crown more than two years ago, Roger continues to conquer. Brisbane International – There was Roger Federer in another final, and he won again. This time it’s a huge win. He has won all sorts of incredible victories like, for example, grabbing a record 17 Grand Slams. You cannot touch that. But on Sunday night in Brisbane, he walked on the court knowing that he had a great chance. Yes, he was favored to beat Milos Raonic in the final. The tennis world has been buzzing about his 999 wins and fans talking about his rich history. One more win and 1,000 victories. The Swiss has scored wins against 12 No. 1 competitors: Yevgeny Kafelnikov, Pete Sampras, Andre Agassi, Lleyton Hewitt, Marcelo Rios, Carlos, Moya, Gustavo Kuerten, Marat Safin, Andy Roddick, Juan Carlos Ferrero, Rafael Nadal and Novak Djokovic. That’s a heady accomplishment. He showed up first in 2000 in Australia, when he was still a baby, only 18 years old. He had a very good time, but he wasn’t ready to take over yet. He ran around and he was smiling all over the place. He lost to Thomas Enqvist in Adelaide, to Ferrero in Auckland and to Arnaud Clement in the third round of the Australian Open. Eight months later, he was back down in Australia, when he played the Sydney Olympics, where he met his now wife, Mirka Vavrincova, when she was still playing on the tour. Quiet a night. Mirka eventually retired. They now have four kids. But, Federer went on and on. He was not perfect, but he’s been excellent, capturing his first Slam in 2003 at Wimbledon. Then, he took off. He won majors at Australia, Wimbledon and the US Open all over place, and he even grabbed a Roland Garros once. Sure, Rafael Nadal has dominated in Paris (nine Slams at Roland Garros, thank you very much) but Federer did manage to grab one extremely important one on the dirt. He has won dozens of hard court trophies, and he understood exactly how to play on grass as well. He has not won another Grand Slams since 2012, but he is right there with the other so-called Big 4 – Nadal, Djokovic and Andy Murray. Even though the 33-year-old is older than they are and hanging No. 2, he still matters a great deal. Because he keeps trying. Federer bested Raonic in a very close match 6‑4, 6‑7, 6‑4. The Canadian wanted it badly but Federer knew exactly how to step in. “I think the way he’s come back and just all aspects that Roger does, from the sets of twins he has, everything he does is unbelievable,” Raonic said. Federer says that he is not sure how long he will last. You would think that he will play this year, and certainly next year when the Olympics will arrive again. By that time, he could definitely pass Ivan Lendl, the eight-time Slams champ. Lendl retired with 1,071 career wins. Jimmy Connors played until he was 40. That was a very long time. He ended at 1,253 wins. Who know if Federer will be around for another five to seven years and keep swinging away as more and more young player arrive. Even if he doesn’t, he achieved another victory – just trying as hard as he could, year after year. “Never even thought about it, because like I said it’s not been a goal of mine to reach any of those guys,” Federer said. “Next thing you know you’re in the top 3. I know how well they’ve played over the years, how much they’ve played, and how successful they’ve played. BRISBANE INTERNATIONAL – Milos Raonic has been oh-so-close to winning a major. He is very tall, can knock off his massive first serves with aces and nail gigantic forehands for winners. He is “only” 24 years old, so he is still relatively young, but it is time now, and he played the right way to upset Kei Nishikori 6-7(4) 7-6(4) 7-6(4) in the semis. Raonic was very happy that he reached the final and guess who would meet there? The 17 Grand Slam champion, Roger Federer, who blew out Grigor Dimitrov 6-2 6-2. The world No 5 Nishikori was slightly better than the No. 8 Raonic last year. The Japanese was a bit more consistent, and went a little better deep into the big tournaments. Nishikori was faster, smarter and more confident, which is why, for example, that he overcame Raonic in five sets in the fourth round at the US Open. 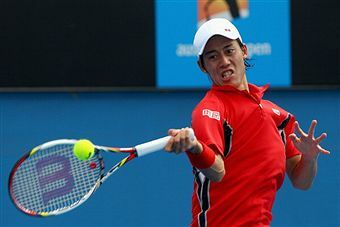 Nishikori kept on battling, eventually reaching the final where he went down to Marin Cilic. Nishikori then played Raonic in a couple more weeks, besting the Canadian, 6-4 in the final. Raonic was very close, but when he came into the crunch time, Nishikori ran around and went side to side, knowing that he could eventually out thought him. But on Saturday in Brisbane, Raonic didn’t back off. Yes, he knows that Nishikori is substantially faster and has a more powerful backhand, but he served up huge and didn’t’ allow Nishikori to break him. He lost the first set in a tiebreak, won the second set in a tiebreak and then went into the third. We all knew they were going to the tiebreak again. There was not other way. Raonic could push the balls around and hope, but he didn’t. This time, he went for the balls early and often. He leapt as hard as he could with his forehands, winning with the contest when he crushed it into the corner 6-7(4) 7-6(4) 7-6(4). Now Raonic has to go up against Federer, who he has beaten him only one time, in Paris last year. Federer has a 7-1 head to head, four ATP World Tours and two Grand Slams, in 2013 Australian Open in the fourth round in straight sets, and in 2014 Wimbledon in the semis, when Federer won 6-4 6-4 6-4. He absolutely has to find out away he can get some solid returns. Plus, he has nail one after another. Raonic didn’t spend much of the off-season, or much of a vacation either. He did go for six days on a beach vacation but after four or five days he was ready to go back. BRISBANE INTERNATIONAL – Ana Ivanovic had it, didn’t she? During 2008, she and Maria Sharapova were in the final of Australia Open and they both had ripped the ball over the past two weeks. Sharapova had never been as confident before then, smacking apart four excellent players to reach the final: Lindsay Davenport, Elena Dementieva, Justine Henin and Jelena Jankovic without even losing a set. She was just 21 years old, had won two Grand Slams but wanted another more. Badly, but so did Ivanovic. Ivanovic was just 20 years old then, but she was already pushing very hard. She had reached the 2007 Roland Garros final and you could tell that she was right there. Six months later in January, she was ready to roll. 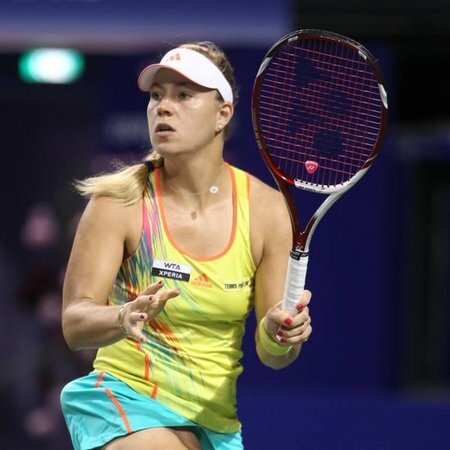 She took out the very young Caroline Wozniacki in the fourth round, shocked Venus Williams in the quarters and then played very smart in upsetting Daniela Hantuchova 6-4 in the third in the semis. Ivanovic was ready to win her first major. She did, shaking it off and winning her first huge title at Indian Wells and grabbing on clay and her first (and only) first Grand Slam by winning Roland Garros. But she’s still thinking about it. It has been six years, since Ivanovic’s challenge was to sneak in, change it up, get into Sharapova’s head. But she did not. She had some key points in the first set, had a couple of looks right in front of her but she could not convert. Sharapova was more powerful, more composed and a bit smarter. Sharapova won the title 7-5 6-3. Ana cried all night long while No. 1 Maria could smile up and down the street. Ivanovic admits that she was in there for the taking, that she felt like she would win it. Uh uh. Ivanovic is so much more mature now. She has had her ups and down since 2009, when she went down, but she battled and battled and, since 2014, she been much more consistent. She has cracked the top 5 and now will play a final again, when she plays Sharapova in Brisbane. Here, this week, she bested two tough foes, Kai Kanepi and Varvara Lepchenko. She didn’t panic, but knew that she could mix and match. Or just swinging her favored forehand super hard. “I really feel I have different mental approach to it,” Ivanovic said. “I struggled to be in the spotlight. For me, this is something to take time, to get used to because I was very shy. It was really overwhelming for me and all the pressures. I always play tennis as a game and not all these pressures and expectations. “It takes time to learn about yourself, to mature. Now I really try to take my time and enjoy on the court and off the court. The time I spend on court it’s more quality. I really focus 100% on that. And then when I’m off the court I can relax and enjoy. “This is something that I was lacking in the past, because coaches really tried to control and I didn’t feel like I had time for myself. It was all about tennis and just spending time on court or this. Sharapova is 9-4 head to head against Ivanovic, but the two split their matches in 2014. Ivanovic pulled out a classic win over Sharapova, 7-5 in the third set of Cincy. Perhaps they will do it again. “Yeah, I enjoy playing against top players and having these kind of battles, because that’s what you want to test yourself against,” Ivanovic said. “She’s in great form. Last year we had really close battles, and that match in Cincinnati was actually one of my favorite wins probably because it was really tough match and I managed to save match points and actually win. The Aussie had a good week for the guys, but once they faced the top men the going got too tough. Roger Federer destroyed Aussie James Duckworth 6-0 6-1, and will face Grigor Dimitrov, who cruised Martin Klizan 6-3 6-4. Kei Nishikori was terrific in beating Aussie Bernard Tomic 6-0 6-4, while Milos Raonic overcame the Aussie Samuel Groth 7-6 in the third. Dimitrov believes he has a good shot against Federer and appears to be very confident. But he actually has to do it, rather than just pretending. BRISBANE, INTERNATIONAL – Kei Nishikori is ranked No. 5 and Milos Raonic is ranked No. 8. They played better than No. 11 Grigor Dimitrov did last year and as good as the Bulgarian was for the most part, he was not as consistent overall. Yes, he improved a great deal last year, but he flailed a bit during the fall and consequently he was unable to reach the ATP Final of 8. Those two other guys made it. This is a different year though in 2015, so maybe he will turn the tide. He has a beautiful game; there are few shots that he can’t handle. In fact, there are none, except for getting angry on occasion and pushing himself way back when chasing the balls back. But he has learned a great deal over the past two years or so and when you listen to him you know that he is very close to taking them all down. His coach, Roger Rasheed, knows how to handle his charge. Now Dimitrov is ready to go straight at them. Reaching the No. 1? He thinks he has a legitimate show. Dimitrov will face Martin Klizan in the Brisbane International on Friday. Speaking of which, Dimitrov GF Maria Sharapova played an excellent ball in crushing Carla Suarez Navarro 6‑1 6‑3 to reach the semis. It has taken No. 2 Sharapova for years to dealing with rush the net and finally, she is now doing it on occasions. Even up to a few years ago, she would crack a ball into the corner, have her opponent way off the court as stretching out to even touching the ball, let alone blasting one back, and even if she was three inches away from the net, she would go backwards, rather than coming forward. Now she is actually going forward, staying up there and believing that she can hit winners. You cannot put it away every time, but you have to stand up there, now where it’s coming, put your racket out and react. Most times, if you are reacting crisply, you can put the ball way. If she can put away say six winners off the net per each set, then she can grab another Slam. Sharapova will face a young riser in the semifinal, the 20-year-old Elina Svitolina of Ukraine, who upset Angelique Kerber. Sharapova bashed her in Beijing in October, but Svitolina appears to be more confident, hiring the Brit Ian Hughes, who once helped Andy Murray a couple of years ago. The American Varvara Lepchenko bested Alla Kudryavtseva 7-5 7-5 and reaches the semifinals. It looks like she will reach the top 32 for the Australian Open. Big step. Sam Groth looks so much better overall, but his game has taken many years to figure out hoe he should play. He pulled off a fine win over Lukas Kubot 7-6 in the third but now will play Raonic, which is a dangerous task. Juan Martin del Potro has yet to be able to strike his -left-handed backhand but be will play anyway at the Apia International Sydney. Stan Wawrinka cracked the teenager Borna Coric of Croatia 6-1 6-4 in Chennai Open. Coric is too young to have much impact. In Auckland, Venus Williams and Caroline Wozniacki won, but the American Coco Vandeweghe went down to Barbora Zahlavova Strycova , which means that she won’t be able to get into the top 32 at the Aussie Open. While another American, Lauren Davis, won’t be able to get a seed, she did knock off Urszula Radwanska 2-6 6-2 6-1 and reached the semis.